“The best villains are the ones who have a point of view you can relate to,” says Joe Robert Cole, the co-writer of Marvel’s massive new movie Black Panther. To judge from the reception given to Michael B. Jordan’s Erik Killmonger, who vies with chosen one T’Challa (Chadwick Boseman) to rule the Afro-futurist country of Wakanda, Cole and director Ryan Coogler have crafted one of Marvel’s greatest screen adversaries. 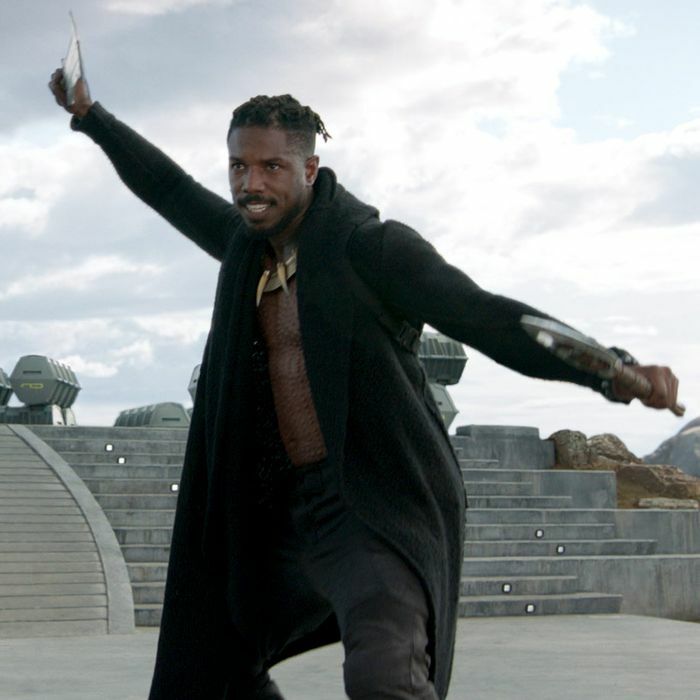 Jordan plays the hell out of the role, bringing pain and swagger in equal measure, but the crucial ingredient here is that Killmonger is rooted in more provocative real-world issues than any Marvel villain thus far, and many viewers are finding his plan all too persuasive. “An antagonist hell-bent on arming all the black people in the world, Killmonger’s rage and rashness are more coherent than T’Challa’s rote Edenic promises,” wrote The New Yorker’s Doreen St. Félix. Cole likens the characters to X-Men adversaries Professor X and Magneto, who were themselves based on civil-rights leaders Martin Luther King, Jr. and Malcolm X. Like Professor X, T’Challa is the peace-keeper who is concerned for the welfare of his people and only relies on his superpowers when traditional diplomacy has stalled. Killmonger, by contrast, is a firebrand who growls the truths that soft-spoken T’Challa dare not say, and is unafraid to hasten violent revolution. Orphaned as a child in Oakland, then sent as an adult on bloody military missions to reshape the world, Killmonger has never known paradise, and he can barely believe that a black utopia like Wakanda will not intercede on the behalf of its oppressed brothers and sisters the world over. To stay faithful to the comic-book version of T’Challa but also give him enough to wrestle with, Cole and Coogler decided to complicate his past: Our hero reveres his father T’Chaka, the assassinated former ruler of Wakanda, but comes to find out that the dead king’s motives and methods may not have been so noble.